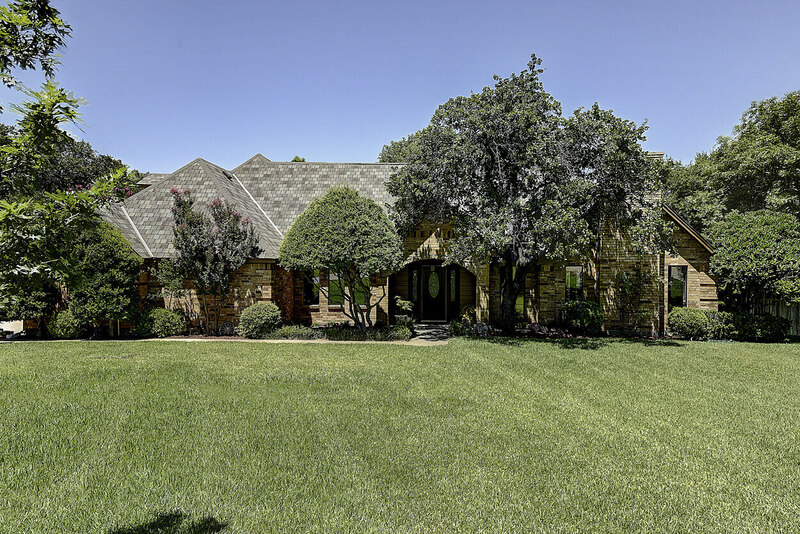 1406 Summer Breeze Court is in a North Keller location on cul-de-sac & heavily treed .82 acres with diving pool. Kitchen & living overlook large covered deck & pool. Huge living room has wet bar, vaulted ceiling, WBFP. Kitchen with granite & stainless Steel appliances. Master has deck access thru French doors. Upstairs has a bedroom suite with full bath and a gorgeous study with built ins. Bonus air-conditioned workshop or work out room. Lots of grass & room to play. Keller ISD. Click here for more information on this North Keller location on cul-de-sac & heavily treed .82 acres with diving pool.